Cincom CPQ™ (formerly Cincom Acquire) is a configure-price-quote platform that dramatically improves the buying experience for your customers and turns your sales reps into true product experts. Cincom CPQ has not provided pricing information for this product or service. This is common practice for software vendors and service providers. Contact Cincom CPQ to obtain current pricing. Hi there! 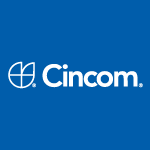 Are you looking to implement a solution like Cincom?